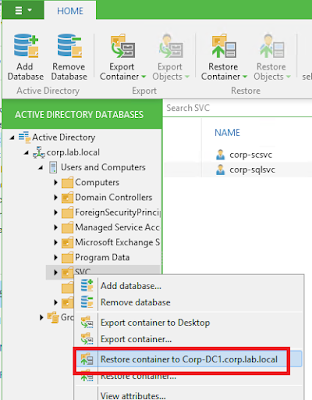 The most common way to backup Active Directory is backup system state by using Windows Backup [build in on operating services], System Center Data Protection Manager or other 3rd party backup solution that you can think of. 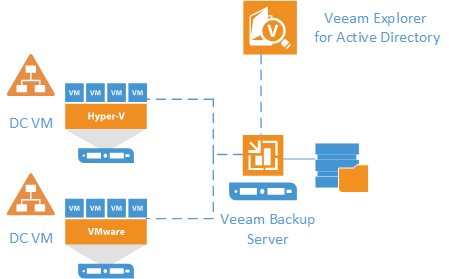 Backup is easy! 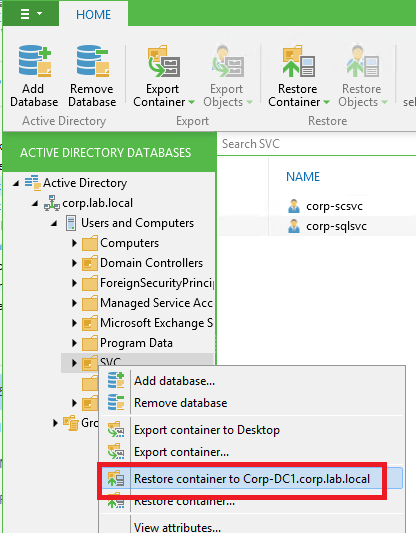 However, what happen when disaster occur which require you to restore Active Directory database? Wow! 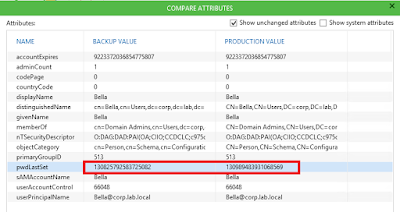 Not easy with so many tools to use. Why not look into the below solution that we are going to talk about? 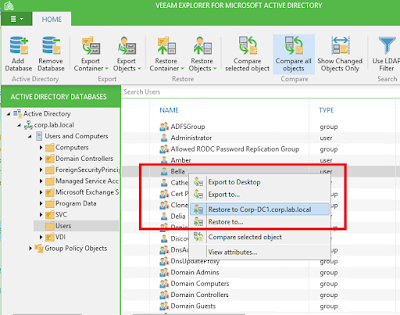 To make your life easy, you can use Veeam Backup and Replication v9 to backup entire Domain Controller Virtual Machine, perform restore an objects and container with Veeam Explorer for Active Directory. 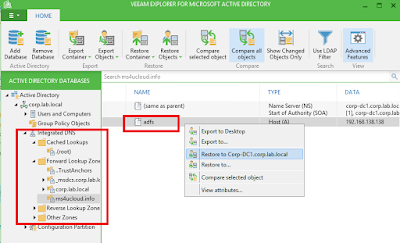 Veeam Explorer for Microsoft Active Directory is a free tool installed with Veeam Backup and Replication (VBR). 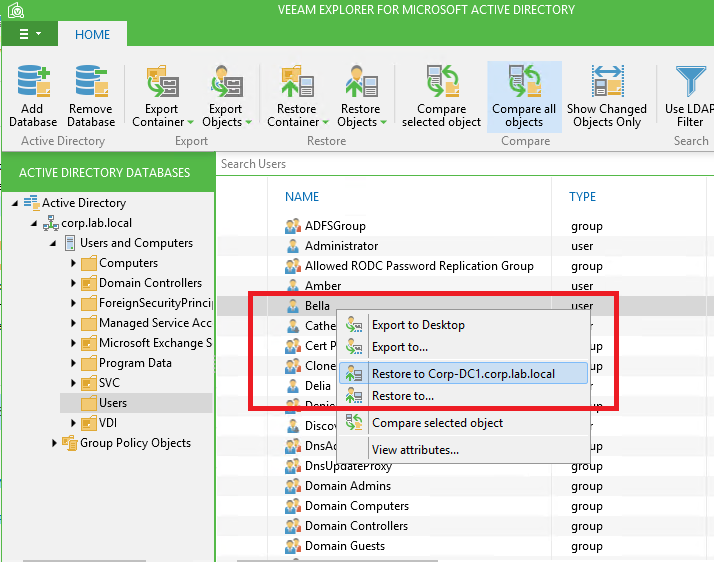 Active Directory database will be extracted by VBR from the backup or replica file. 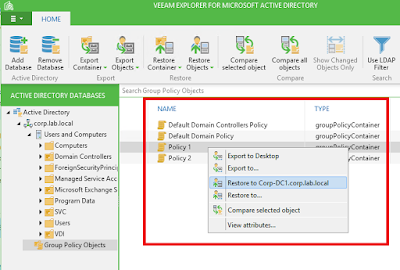 For Veeam Explorer to work, you need to use credential that has permission to access Active Directory domain. 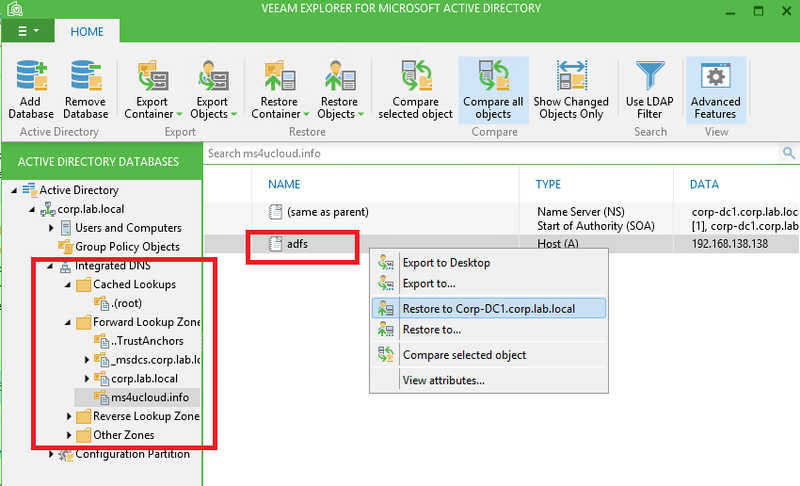 Veeam Explorer for AD work on AD 2003, 2008, 2008 R2, 2012 and 2012 R2 VM backup. 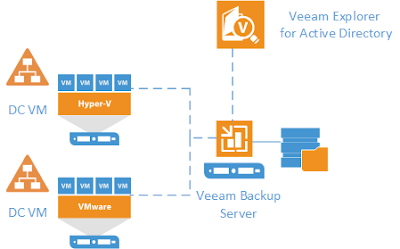 Let have a quick look on what we can recover by using Veeam solution. 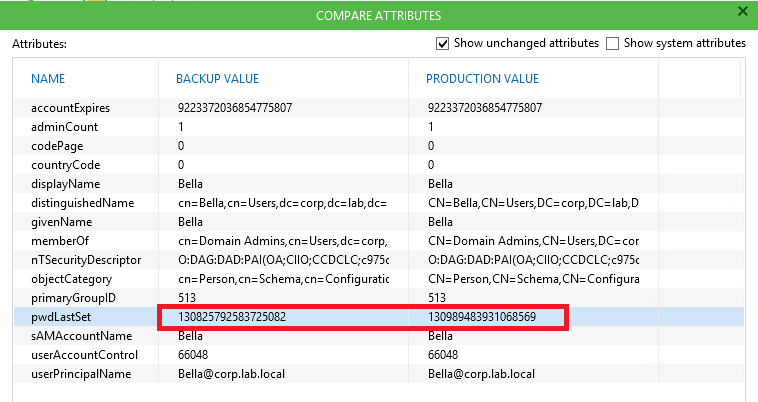 Note: You can view attributes and make comparison on value on the backup and production value. 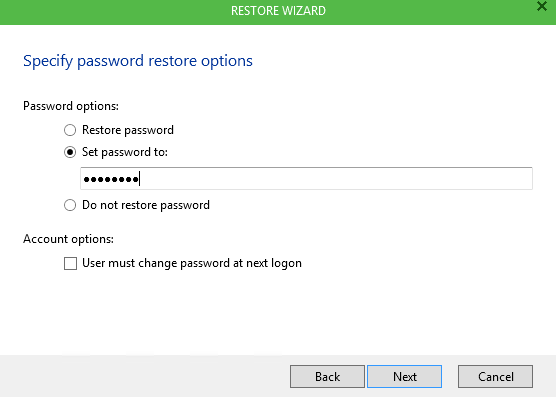 Besides, you can define new password and other setting on object before recover. 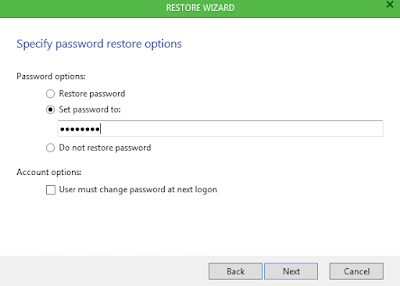 Entire Organizational Unit (OU) restore with deleted user account/group. 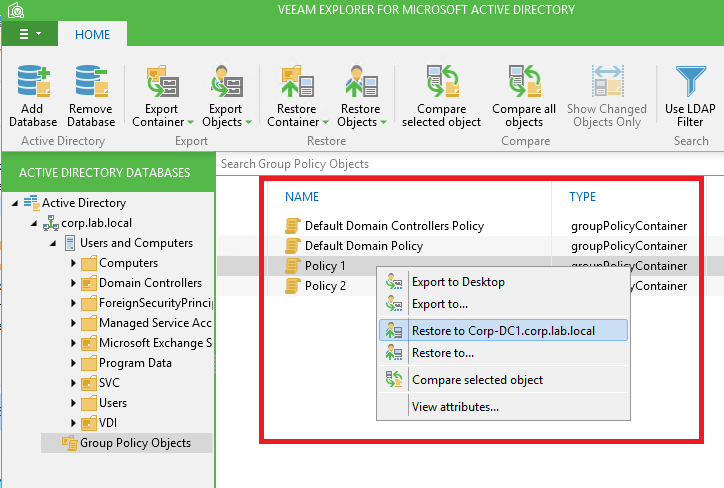 Restore deleted group policy object. 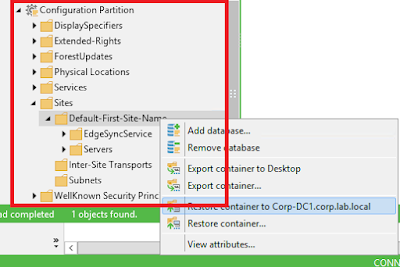 Note:- After restoration, you must restart DNS Server service in order to see the changes.